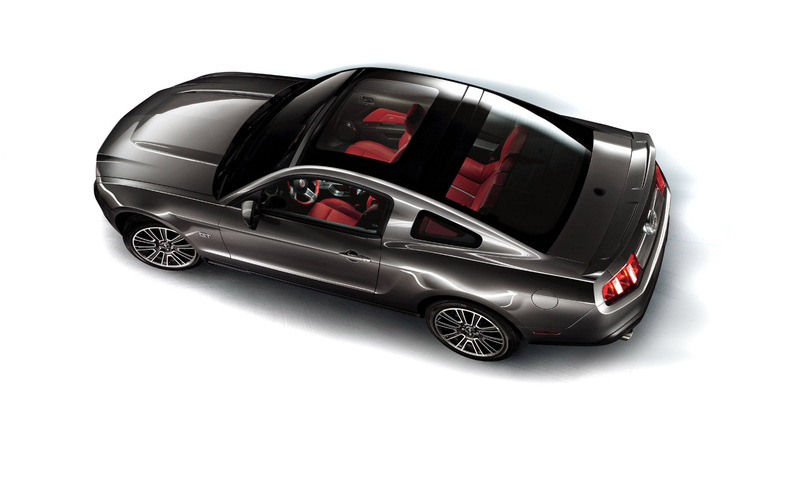 The 2010 Ford Glass Roof Mustang and Mustang GT convertible, which are arriving in dealerships now, offer consumers sun-soaked driving and top-rated safety heritage. Fans of open-air motoring have made the Mustang convertible a perennial bestseller. 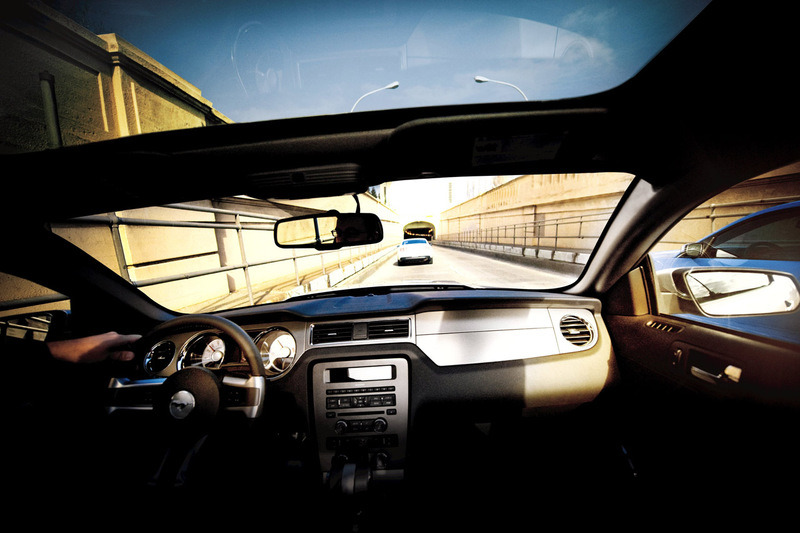 Those who love the sun but want to cut back on sunscreen use can choose the pony car with the panoramic glass roof, which filters nearly all of the sun’s harmful rays. The Mustang’s considerable body stiffness contributes to its driving performance and has an added benefit in accident protection. While the coupe’s body structure is 31 percent stiffer in torsional rigidity than its predecessor, the convertible’s is more than twice as stiff – creating a „safety cage“ that helps protect the cabin from deformation and intrusion during an impact. The front structure is designed to absorb and help dissipate it before it can reach the passenger compartment. The Mustang’s front rails have an octagonal shape designed to spread forces evenly at the firewall and progressively deform for increased protection in offset frontal crashes. The 2010 Ford Glass Roof Mustang offers consumers convertible-like driving without the need for sunscreen, because its factory-installed panoramic glass roof filters 90 percent of the sun’s heat-generating infrared (IR) rays and 96 percent of burn-causing ultraviolet (UV) rays. The glass roof’s ability to filter IR rays reduces heat load in the cabin so that occupants remain comfortable while enjoying the sun. The reflective glass also reduces energy used by the vehicle’s air conditioner system while protecting the interior fabric from fading and deteriorating. Health experts caution that cool breezes in convertibles can misleadingly mask the sun’s harmful rays as occupants may not feel as hot as when they’re stationary under the sun. Therefore, dermatologists recommend the use of sun-block lotion or moisturizer with a sun protection factor (SPF) of 15 or higher prior for top-down drives. According to J.D. Power feature content research, 62 percent of buyers in the sports car segment wanted a sunroof/moon roof on their next vehicle. 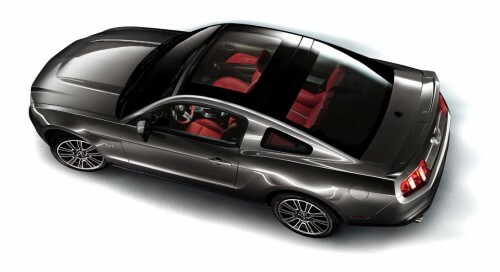 Since its introduction in 2008, the Glass Roof Mustang – which is available as a $1,995 option on both the V-6 model and the GT – has accounted for 10 percent of all Mustang sales. The convertible accounts for 25 percent of Mustang sales, and sell most strongly in California, Florida, Texas and Georgia. 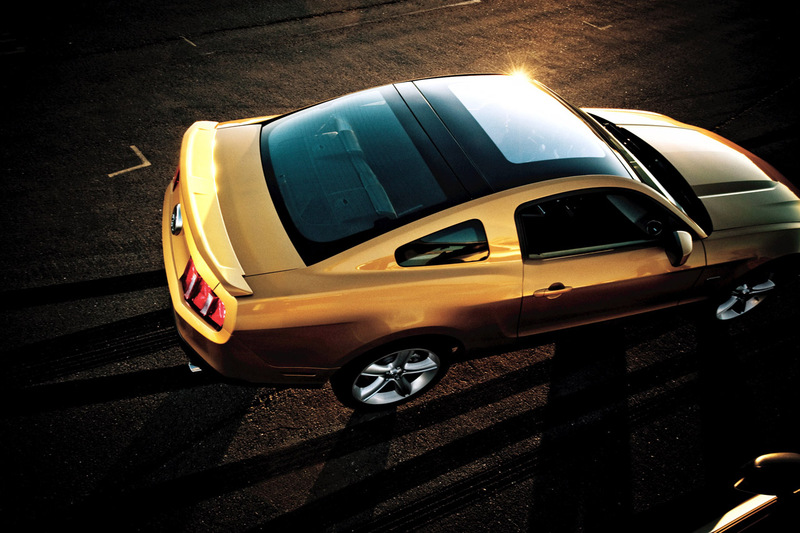 Mustang is just one Ford model that features ample sunlight and generous views. The 2010 Lincoln MKS and 2009 Ford Flex, Ford Edge and Lincoln MKX also offer sun-splashed driving enjoyment with an optional panoramic roof glass that is privacy tinted for the occupants‘ comfort and protection.